The Maurice Hawk PTA is run entirely by volunteers. This page lists our committees and chairpersons. Interested in getting involved? Please contact any of the committee chairs to volunteer. 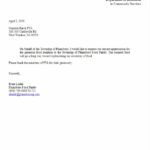 Certify the accuracy of the books & records of the Hawk PTA. Also, assure the membership that the association’s resources/ funds are being managed in a business-like manner within the procedures established. Donate a book to your child’s classroom library in honor of his / her birthday. Bookplates recognizing your child and his / her birthday is placed in each book. Each Fall & Spring, this committee runs a weeklong in-school book fair where students (and their families) can peruse and purchase their favorite books for their home library and / or donate a book to their classroom library. The fair aims to foster the children’s love of reading while raising funds for that will directly impact their educational experience at Hawk. 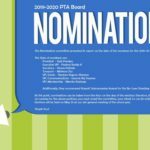 Help maintain the PTA bulletin board including “whole-school” art projects. This committee coordinates the purchase and sales of school logoed merchandise at various Maurice Hawk events. An annual fun-filled family event that features games & prizes, face painting, temporary tattoos, inflatable bounces & slides, DJ entertainment, Italian ices, and a chance to win at the Cakewalk. Families are invited to bring a picnic dinner or purchase food from various vendors at the event. This committee coordinates an ice skating outing. A fun-filled evening of Bingo that is sure to entertain the whole family. Play for your chance to win a sweet treat. This is an annual event is enjoyable for the whole family. Enjoy a screening of a kid-friendly movie with other Hawk families. Savory & sweet treats and water are included in ticket price. Help coordinate a fun, activity filled day for the school. This includes creating a banner, one for each grade, that all the students will sign! Coordinate the annual international fair celebrating Hawk’s cultural diversity. These volunteers support the school librarian by assisting with the checking in / out and shelving of books. No prior experience required. The chair helps coordinate the volunteer schedule at the beginning of the school year. Coordinate our annual one-month food drive in support of the Plainsboro Food Pantry. This committee coordinates the Box Tops for Education and McCaffrey’s receipts fundraising programs. An annual event, the Hawk Science Fair is a non-competitive, interactive fair that offers our students the chance to learn about and demonstrate science projects. This committee coordinates events designed to thank the Maurice Hawk teachers and staff for their dedication to our children. Work with the Maurice Hawk PTA Executive Board and school administration to organize and coordinate fun, educational assemblies for the Hawk student body. A fun-filled end of the year fete celebrates our 3rd graders as they prepare to leave the Hawk nest for 4th grade. This committee plans games & activities for this event as well as creates a special year book keepsake. Update and maintain the Hawk PTA website with important news and information.